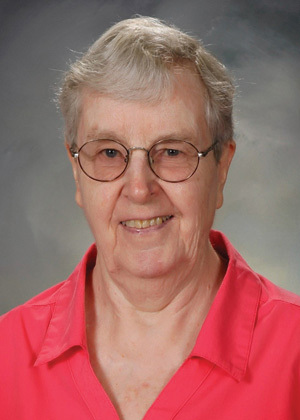 Sister Patricia O’Rourke, BVM died Monday, Feb. 11, 2019, at Caritas Center, Dubuque, Iowa. Visitation, Sharing of Memories, and Mass of Christian Burial were Thursday, Feb. 14, 2019, in the Marian Hall Chapel. Burial is in the Mount Carmel cemetery. She was born on Dec. 25, 1928, in Chicago to William James and Agnes Bradley O’Rourke. She entered the BVM congregation Feb. 2, 1950, from St. Eulalia Parish, Maywood, Ill. Sister Patricia was an elementary principal and teacher in Iowa at St. Patrick in Cedar Rapids and St. Irenaeus in Clinton. She ministered in Chicago as an elementary teacher at St. Tarcissus, St. Eugene and Holy Name and as an adult learning skills teacher for the City Colleges of Chicago. Sister Pat was a tremendous aunt with a great sense of humor and a kind heart. She went out of her way and traveled long distances to attend special family events whenever she could. Patsy, as our dad called her, was a blessing to my siblings and me and to our own families. Sr. Patricia was a great friend to our family and our aunt, Anne Marie Dolan. We shared so many dinners and family gatherings over the many years they lived together at Holy Name Cathedral Convent. Smart, funny and fearless (even with her driving). I was so glad I was able to visit with her in November. God bless her and the BVMs.